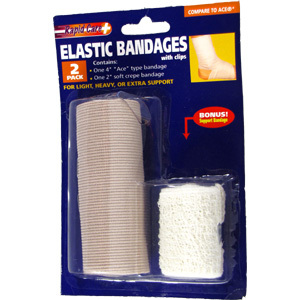 This pack includes 2 elastic bandages for any emergency. Both are different sized for different uses. For light support:Wrap light crepe bandage around desired area. 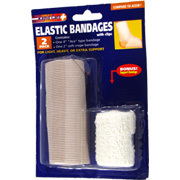 For heavier support:Wrap heavy bandage around desired area. 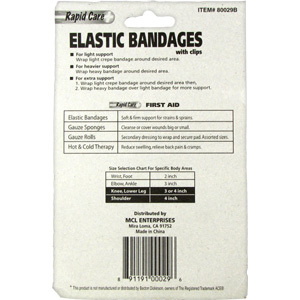 Elastic Bandages with Clips - 2 pack is shipped in a discrete, unmarked package. Orders are processed immediately and usually takes about 3 to 5 working days to be received. We do ask that you try it for 2 to 3 weeks to feel the full effects. Any information received is used only for order processing and shipping purposes. Your information, such as e-mail address, will never be disclosed to a third party.